TUSTIN, Calif., Feb. 11, 2019 – In the patient-centric world of radiation oncology, it is critical that CT simulation is accessible, repeatable and flexible. To build on these values, Canon Medical Systems USA, Inc. is now expanding its offerings for CT simulation in radiation oncology to include the AquilionTM Prime SP and AquilionTM Lightning 80 premium CT systems. 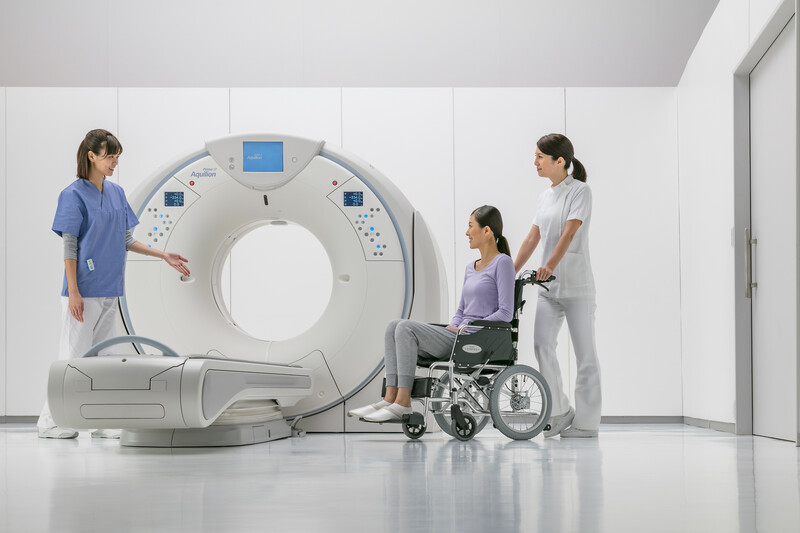 In addition to the AquilionTM LB, the Aquilion Prime SP and Aquilion Lightning 80 now include radiation therapy (RT) options that provide both superior CT imaging and precision tools for oncology planning. Canon Medical Systems USA, Inc. is now expanding its offerings for CT simulation in radiation oncology to include the Aquilion Prime SP and Aquilion Lightning 80 premium CT systems.